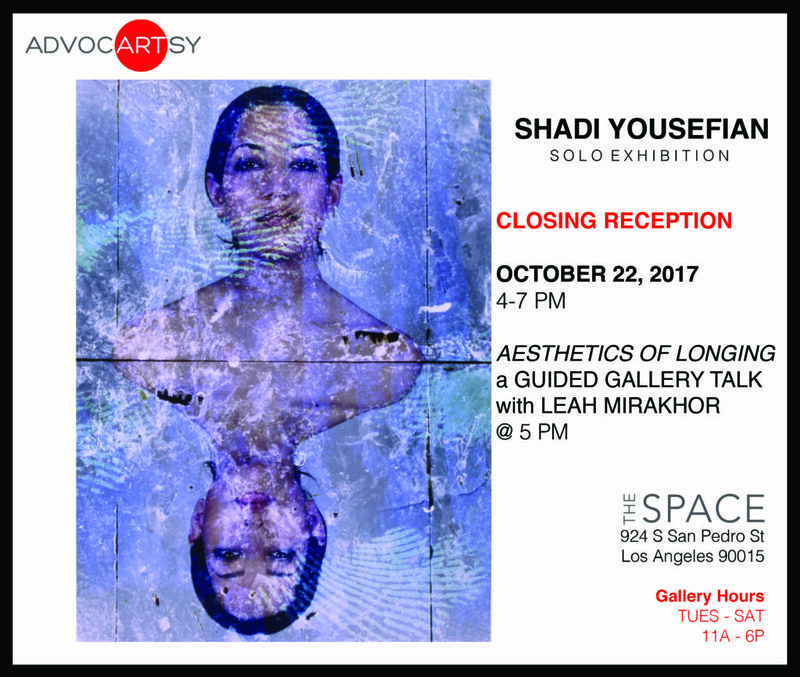 At 5pm Leah Mirahkor will lead a gallery walk through entitled Aesthetics of Longing. Leah Mirakhor teaches at Yale University and received her Ph.D. from the University of Wisconsin-Madison. Mirakhor’s works on 20th and 21st century American and diasporic literature and culture has been published in The Los Angeles Times, The Los Angeles Review of Books, Studies in American Jewish Literature and African American Review.